Anyone who has ever debated Creation vs. Evolution has almost certainly encountered the incredulity of the Evolutionist when it comes to the topic of Noah’s Flood. While some Evolutionists might concede that perhaps there WAS at some point in the past a very significant flood event, due to the fact that so many ancient writings and oral traditions around the world refer to one, they almost inevitably insist that such an event would have had to have been merely some kind of localized occurrance, regardless of how cataclysmic it may have felt to the people at that time. “In the six hundredth year of Noah’s life, on the seventeenth day of the second month—on that day all the springs of the great deep burst forth, and the floodgates of the heavens were opened. And rain fell on the earth forty days and forty nights. For forty days the flood kept coming on the earth, and as the waters increased they lifted the ark high above the earth. The waters rose and increased greatly on the earth, and the ark floated on the surface of the water. They rose greatly on the earth, and all the high mountains under the entire heavens were covered. The waters rose and covered the mountains to a depth of more than fifteen cubits. Every living thing that moved on land perished—birds, livestock, wild animals, all the creatures that swarm over the earth, and all mankind. Everything on dry land that had the breath of life in its nostrils died. Every living thing on the face of the earth was wiped out; people and animals and the creatures that move along the ground and the birds were wiped from the earth. Only Noah was left, and those with him in the ark. Believers in Evolution, and it’s assertions that the Earth took billions of years to form, with various stages and ice ages and such, understandably scoff at the idea that water filled the entire Earth could have been covered with water for a 150 days, especially to the degree that it covered the highest mountains on Earth, surpassing them by 15 cubits (roughly 20 feet). But if one holds the Bible as the authoritative Word of God, as a reliable and accurate account, then this is precisely what must be upheld if one wishes to hold to a position of literal Biblical interpretation, and not start sliding down the slippery slope of trying to make the text conform itself to our own modern assumptions about what is and isn’t possible. According to current models of the alleged Globe, the surface area of the earth is around 510 million square kilometers. Everyone knows that the highest mountain peak on Earth is Mount Everest, and if that is indeed the case, it’s elevation is purported to be 8.848 kilometers above sea level. When we multiply the two, we get the figure of 4,512,480,000 cubic kilometers. That’s how much water it would require to cover the top of Everest, if we are talking about how much water would be needed in ADDITION to the amount of water already present in all the oceans/lakes/rivers in the world today. WHERE DID ALL THAT WATER COME FROM, AND WHERE DID IT ALL GO AFTERWARDS….? For some time, many advocates of Biblical Creationism proposed the so-called “canopy theory” in attempt to explain this. 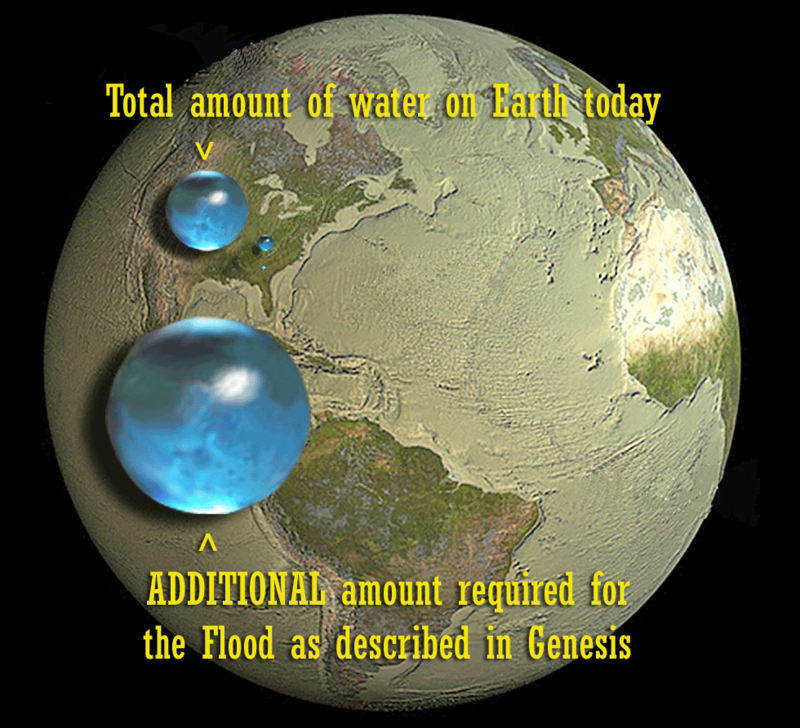 The idea was that the flood waters were being held in a canopy of water vapor above the earth, and so this would have meant there were radically different atmospheric conditions between pre-flood and post-flood eras, as well as giving some effort into explaining the verses in Genesis which speak of the “waters above the Firmament”. However, many Creationist organizations and teachers have been shying away from the Canopy model in recent years, for very understandable reasons. Namely, it just doesn’t give you nearly enough water! Which, of course, I can’t help but see the irony there. Because, truly, when you allow yourself to stop, take a step back, and re-examine the same model of the Earth/Cosmos that was held by the very same individuals who WROTE Genesis and the other books of the Bible, you suddenly no longer have any of these problems, which inevitably arise when trying to conform the Bible, and accounts such as that of the Great Flood, to the heliocentric Copernican model. Beyond this, even if we were to grant the possibility of the Flood waters coming from a “vapor canopy” above the globe, this STILL wouldn’t explain the simple question as to where all that water went as the Flood waters receded, because even advocates of the Canopy Theory have to concede that the canopy is no longer present. 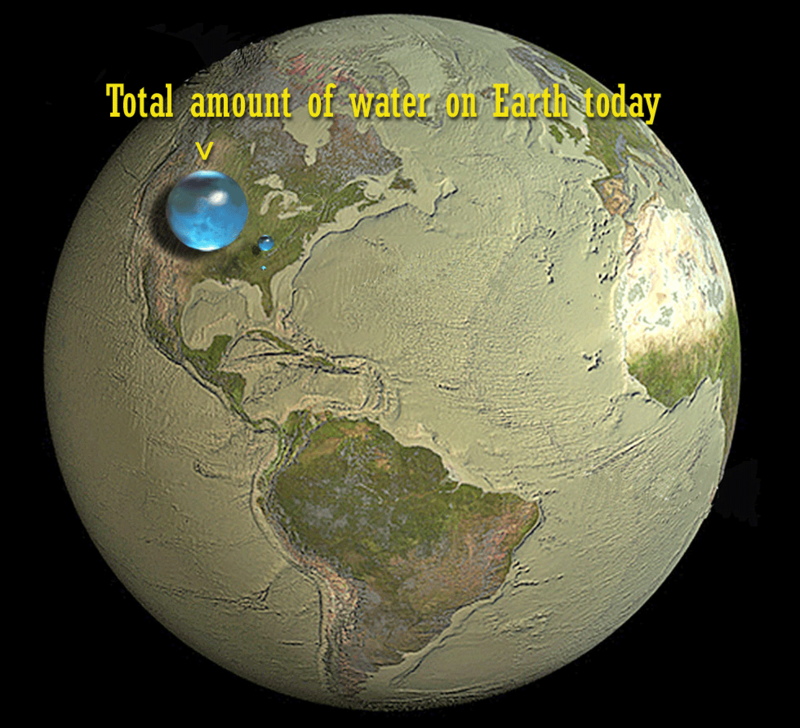 Did all that water, (remember 4.8 billion cu km MORE than the 1.86 we can supposedly account for on the Earth today) somehow seep into the bowels of the spinning globe Earth? To try and argue such a thing would mean having to stand in opposition to the very same geological models of the Earth structure which the Copernican model asserts is established fact. You have to then start assuming the existence of MASSIVE fissures and caverns in the Earth’s oceanic and continental crusts, which overall is another interesting example of the problems which inevitably arise when trying to simultaneously conform the Biblical model to the models provided by modern Scientism, and yet also disregard them, whenever you need to need to force something to fit. How does such an approach know when to accept the official data, and when to dismiss it…? 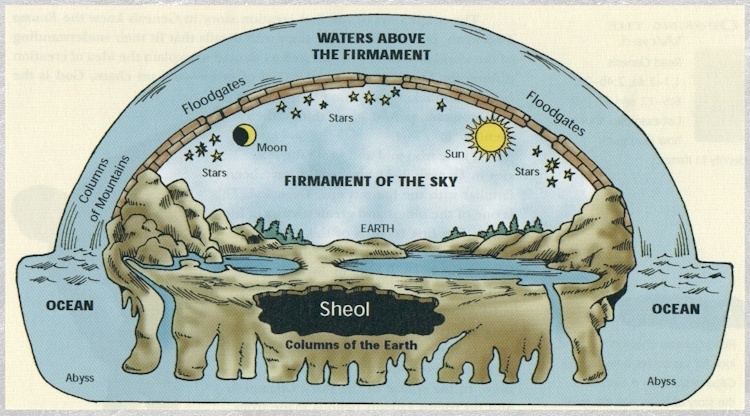 However… If the Firmament isn’t some confusingly convoluted concept of the sky, and/or the atmosphere and/or “outer space”, but instead some kind of literal dome above our heads, then yeah, the “waters above the Firmament” could be of such a vast quantity that our tiny human brains couldn’t even fathom it. We no longer have to ignore or allegorize verses such as the ones that speak of the “floodgates” or “windows” of heaven, nor the ones that speak of the “fountains of the deep”. It really is the only way to honestly render a literal interpretation of what Genesis has been plainly saying for thousands of years. It is not difficult to understand why so many people, even those professing to hold to a literal interpretation of the Bible, would have such a difficult time accepting the idea that the globe model is false. Not only are there the intellectual obstacles of accepting the massive deception required to perpetuate things like the fake moon landings, Mars Rover, ISS, etc., but it would affect so many things which we assume to understand, about not just the “heavens” or outer space, but about our own atmosphere, the subterranean world, and even things as fundamental as the “water cycle”. I made this video trying to look a little deeper into the question of gyroscopes, and gyroscopic navigation, as it potentially applies to the Flat Earth question. Much of it involves taking a closer look at this Navy Training film from 1960, and it’s claims regarding how supposedly navigational gyros in Navy planes are being constantly reoriented to the ball Earth using a magnetic compass. Youtuber “my perspective” is one of my favorites right now. I suppose it has a lot to do with the fact that I too am very visually and perspective oriented, having spent so much time learning about such things in art classes etc. myself, but he does a really great job. One thing he brings up in these videos, which I actually hadn’t heard before, and I do find very intriguing, is the idea that the stars too are on a flat plane, similar to the sun/moon, and not being “projected” (or appearing projected, at least) onto the dome/Firmament itself. This makes actually makes a lot of sense for several reasons, one of which being the fact that the more footage you watch of balloons, rockets, “space walks” etc., the more you will begin to notice that in none of these films/videos will you see the stars from “earth orbit”, or even, it seems, from very high altitude. At a certain point, it’s as if you simply can’t see them anymore, and I have found this to be very curious indeed. Lastly, he also mentions in the second video the idea that Gravity is indeed the “satanic G” of Freemasonry, which I recently wrote about myself, and how gravity is itself a very central concept of Evolutionary theory itself. Anyhow, enjoy! Biblical Proof for the Flat Earth…. A pretty decent vid. But man… There are so many out there now, it would be impossible to post every one of them. Ok, but so what? 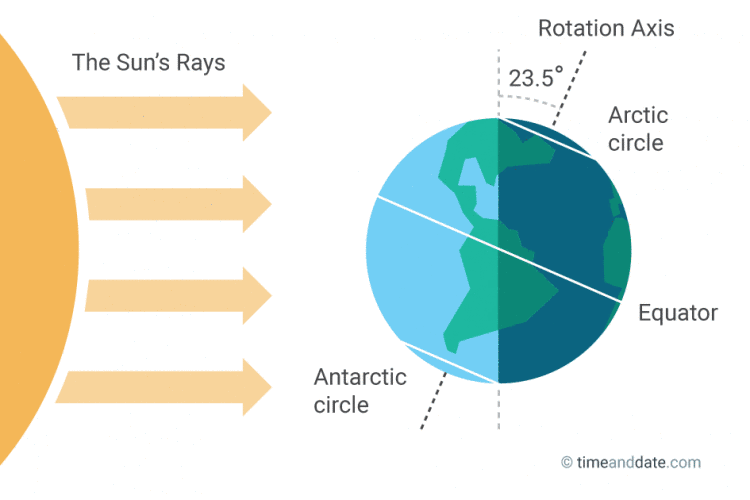 The Earth is spinning, so we are taught, and this is what makes the sun appear to move across the sky, and why the hottest time is in the middle of the day, because it’s when our little point on the globe is closest to the heat source, i.e., the sun…. Simple right? It’s funny, how when you start intentionally looking for charts, illustrations etc., for these kinds of things, what you can easily find, and what you can’t. You will almost NEVER find a chart or diagram showing the Sun and Earth to scale, and I really believe that this is because if we could, a lot of things would really start jumping out at us pretty quickly! Now, they say that the Sun is in fact somewhere around 93 MILLION miles away from the Earth. 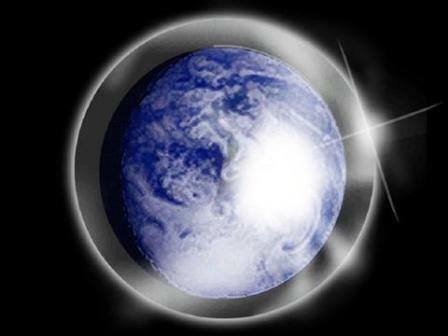 We are also told that the radius of the Globe Earth is a little under 4,000 miles, which would mean that from the time your part of the world crosses over the “shadow line”, going from night to day (i.e. “dawn”) the largest change in distance between the Earth and the sun possible would be 4,000 miles. So that’s four thousand, in relation to a total distance of ninety-three MILLION…. Hmmm, what percentage of a change does that ultimately amount to…? Yes, the title gave it away… A whopping 0.0086% change. 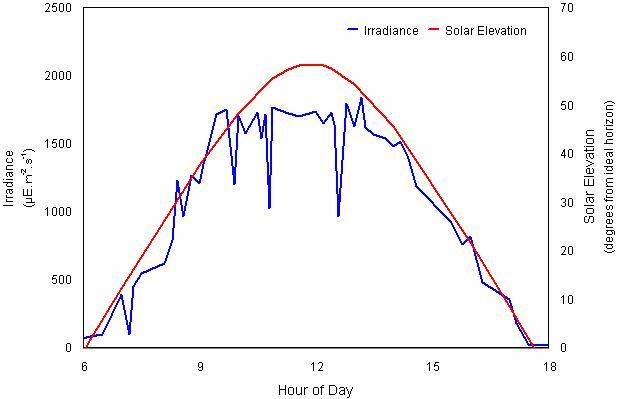 That’s how much closer you could possibly get, from sunrise to solar noon. Less than 9 “one-thousandths” of one percent difference. 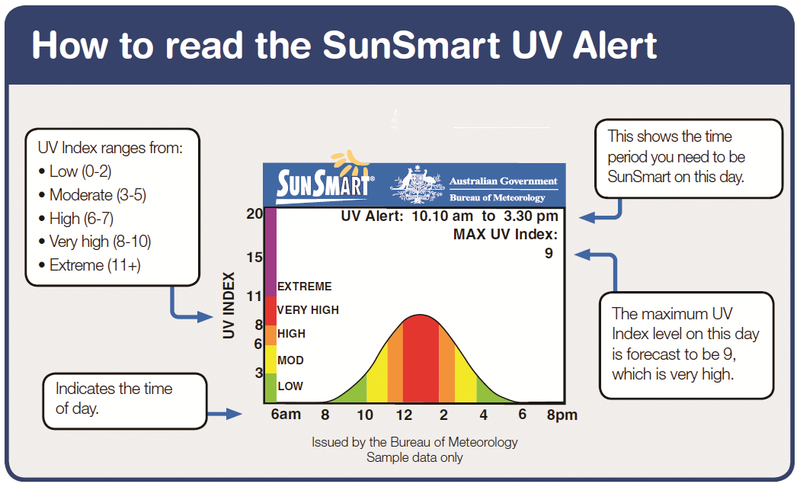 And yet, as we all know, when stepping out into the direct rays of the sun, just as it has completed rising in the morning, versus stepping out into the direct sun in the middle of the day, there seems to be a rather SIGNIFICANT difference, no? A bit more than 0.0086%…? 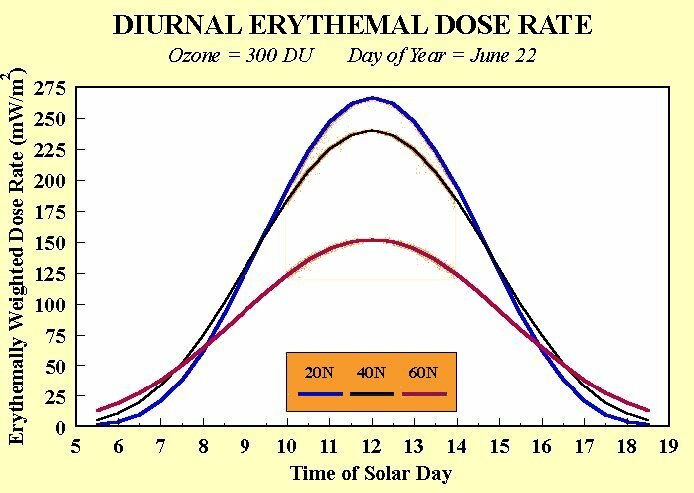 If the sun was truly a million miles across, and 93 million miles away, and the temperature increase from morning to midday was because the earth was continually heating due to sun exposure, then it should CONTINUE heating up, all throughout the day, until the sun went down. I mean, can we really wrap our heads around how truly SMALL 0.0086% is?? 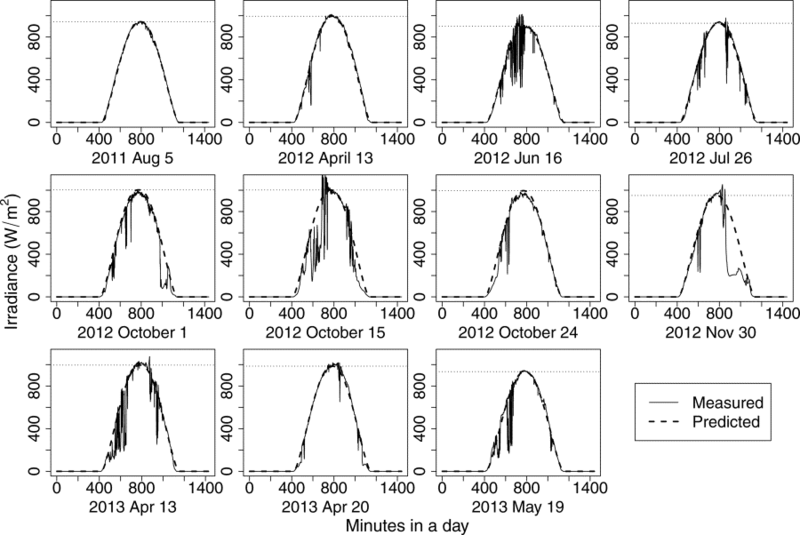 That’s a VERY small decrease in alleged distance, from solar noon to dusk, and yet, look at all those charts. 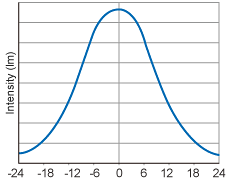 See how the bell curve drops down, almost the perfect inverse rate of increase in the morning? 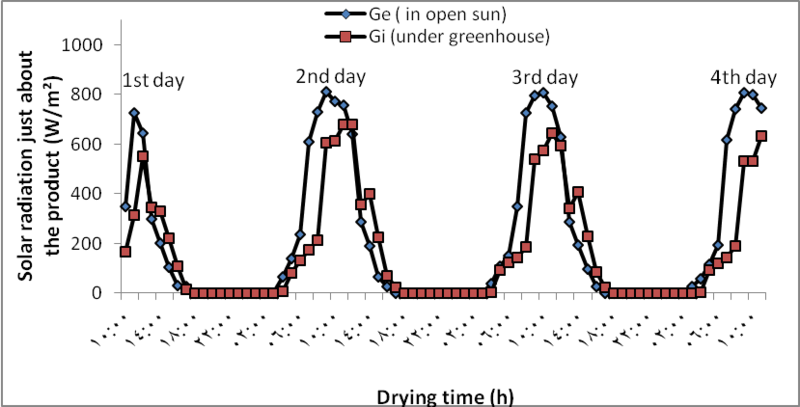 (almost as if the sun was small, and moving AWAY from where you were standing, after it moved TOWARDS you in the morning…) 😉 Even if it could be argued that the minuscule increase in distance from solar noon to dusk might account for some degree of a drop, it certainly could not be maintained that it should show such a drastic one, mirroring the increase from the first half of the day. 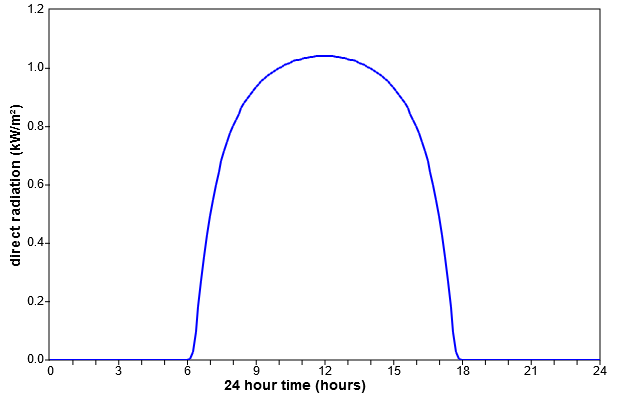 And the thing is, the bell curve doesn’t just apply to solar radiation levels (i.e. 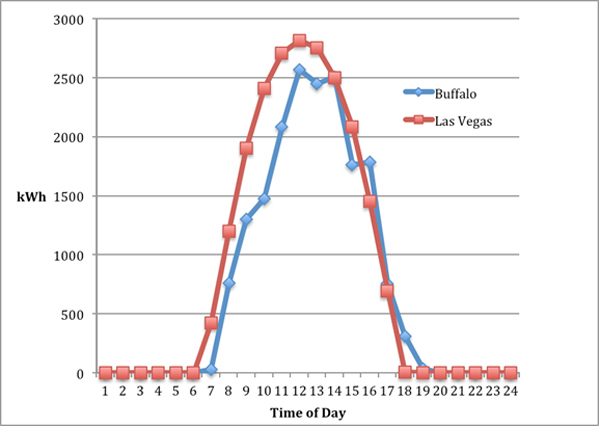 intensity of heat), but of course to luminescence as well. In the video below, it shows time-lapse footage of sunsets, where you can clearly see the illumination of the entire sky getting dimmer and darker, BEFORE the sun starts touching the horizon line. Again, would that make sense, with only a 0.0086% change in distance? Would the difference in angle through the atmosphere, alone be enough to explain this?